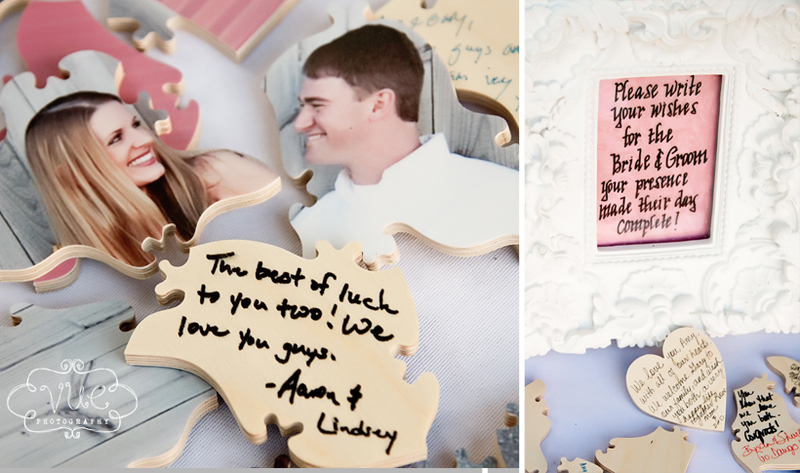 Amy & Gary's gorgeous pink and blue Carillon Wedding! We like boots with a ‘tude on this sweet, Southern gal! You’d better hold on to this one, Gary! Ooh La La! What gal doesn’t love dressing up in Louboutins & Vera Wang on her wedding day?! This classically beautiful bride made an easy transition from quiet & sweet, to sassy & glamorous! 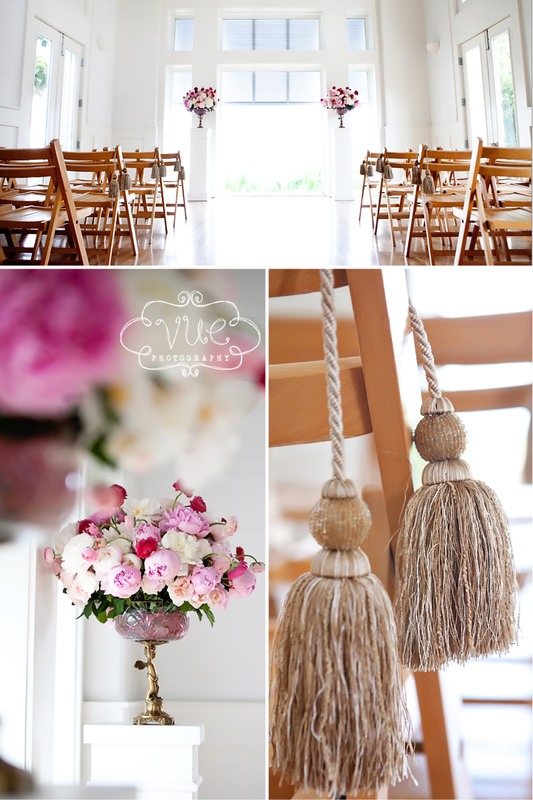 Perfect little details surrounded Amy’s big day. We just loved how her Tiffany blue and soft pinks complimented each other. Amy chose to have her paper products custom designed by the incredibly talented, Dauphine Press. What a wonderful Etsy.com find! 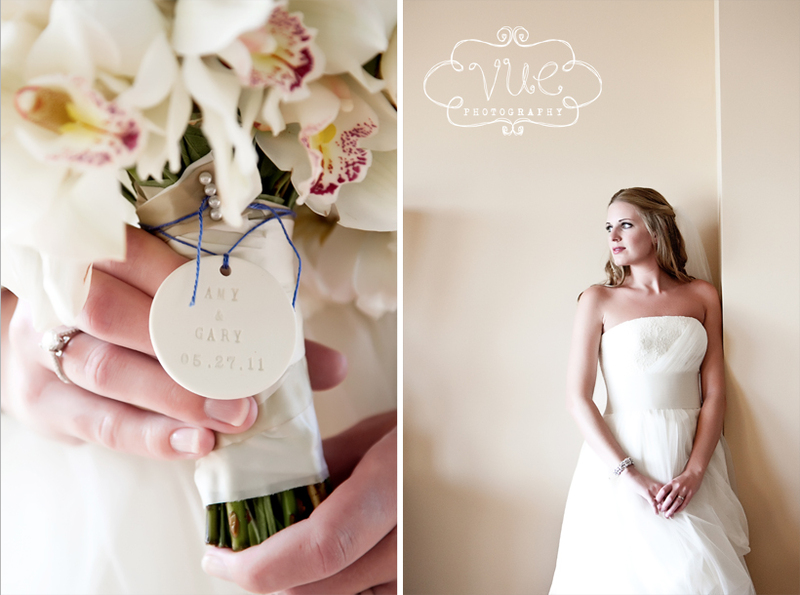 Amy had a personalized tag made for her amazing bouquet of orchids. We love those kinds of personal touches! Southern belles love their peonies and Amy was no exception! They are just beautiful at this time of year. 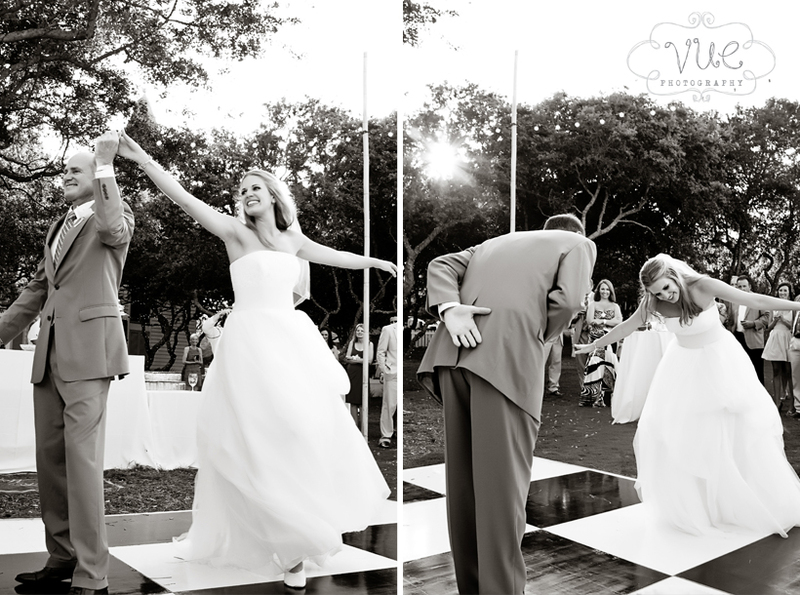 Our ballerina showed off her perfectly pointed toes as she waited to walk through the Promenade. I could not stop laughing because she kept pointing out her non-existent “kankles” from getting a bit of a sunburn earlier in the week. *Don’t kill me, Amy! * Needless to say, we had lots of laughs from her silly comments before the ceremony. To compliment her bouquet, we chose to go with simple, orchid blooms for the boutonnieres. 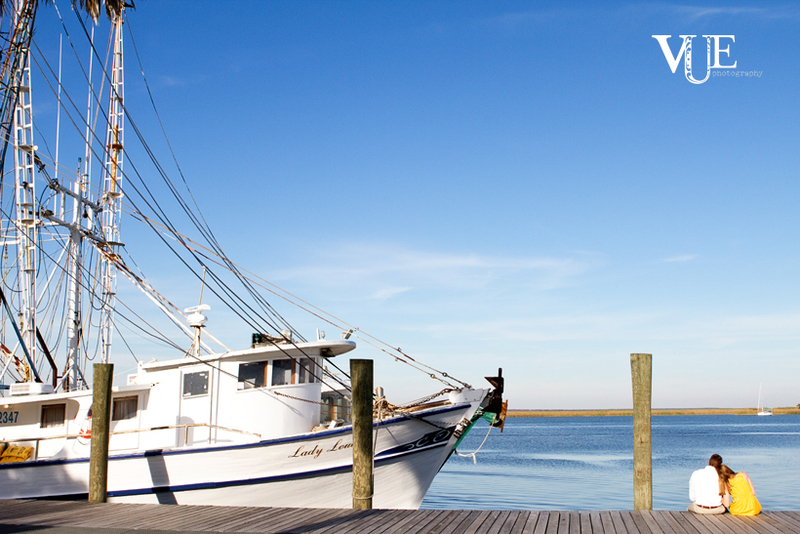 We just love the simplicity of the Meeting House in Carillon Beach. Keep an eye out for those same, cherub arrangements as they are transferred to the reception! So in love! 🙂 You can almost hear her giggle through the picture. Ahh, a classic first dance to Rascal Flatts’ “Bless the Broken Road”. We all got such a kick out of Amy’s dance with her father. As a nod to their family, and her last name being the oh-so-Italian, Mutarelli… Amy chose to dance to “The Godfather Waltz” straight from the movie! Amy’s tablescape was beautifully accented with the cherub arrangements from the Meeting House. Her look was very whimsical, but romantic. Her wedding cake was also a piece of artwork in itself. After the ceremony, we swept them away for their sunset pictures at about 7:30. Although it was a little windy, Amy looked just gorgeous! In the springtime, we tend to keep a look out for our lucky frog who always seems to make his appearance at our events. I’m glad he made it so close to the dance floor because these guests were definitely dancers! A handful of the girls were part of the FSU dance team and they surely showed off their moves! 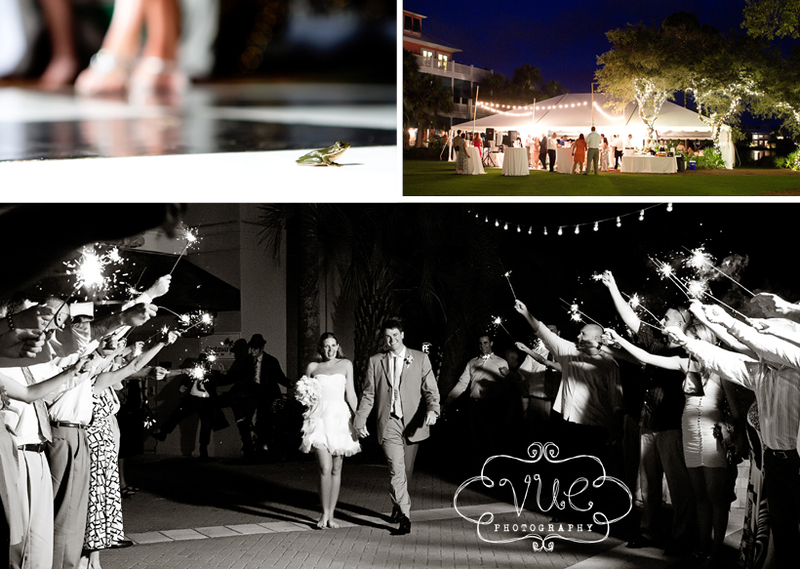 After their seated buffet was over, the guests moved outside, under cafe lights to dance the night away. After a quick dress change so Amy could boogie down, everyone ooo’d and ahh’d at her perfect, short BCBG dress! She was a knockout! 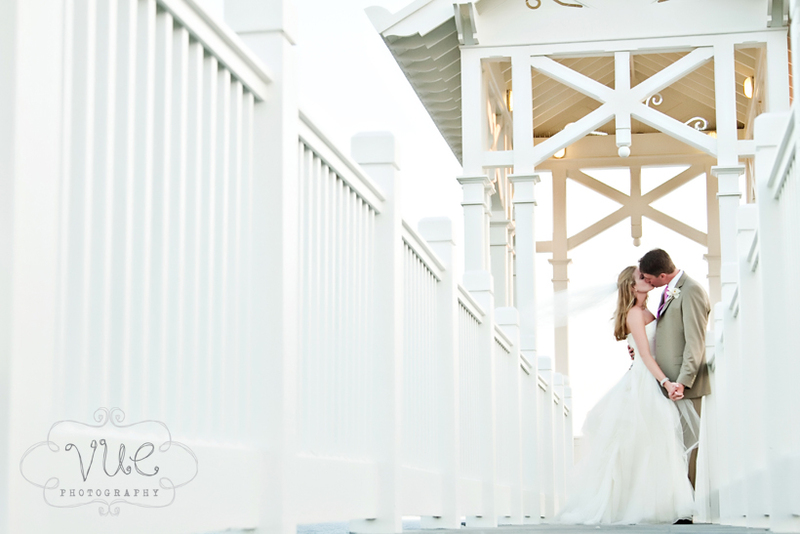 It was another flawless night in Carillon Beach… We’re so happy for this happy couple and wish them both the absolute best!